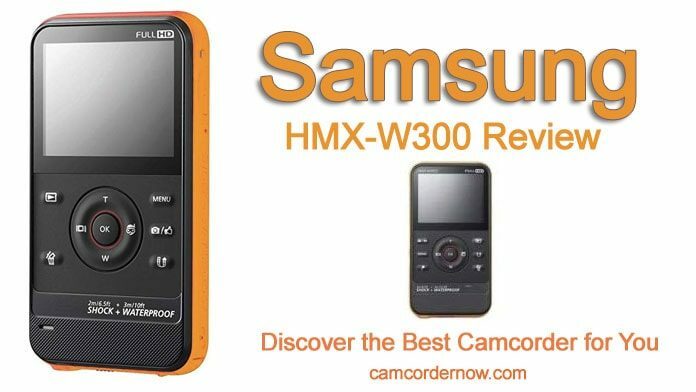 If you think that the camera on your cell phone has replaced any need for a video camera or camcorder, the Samsung HMX-W300 may change your mind. 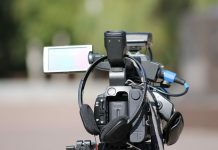 Granted, some camcorders from just a few years ago seem as obsolete as an Edison Cylinder Phonograph when compared to the video capabilities of even a modestly priced smartphone. 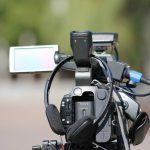 However, there are more things to consider than just pixels and convenience that might tilt you in favor of a more traditional camcorder for specific situations. When it comes to taking simple family vacation photos, a cell phone may be all you ever need to capture those precious moments. Pictures are easy to take -- and easy to retake -- with no conversion necessary to post them on any form of social media. So why would you need a separate camcorder? Consider all the rough and tumble conditions of a family vacation. Your smartphone works fine for snapshots around the dinner table at Grandma’s house. But do you want to try to make quality videos with a cell phone when you’re hiking, tubing, fishing, boating, or engaging in most any other outdoor vacation activities? The idea of risking your expensive smartphone under these adverse conditions begins to seem somewhat impractical, if not nightmare inducing. The more stable and rugged camcorder can take much more abuse than your cell phone. Add to this the fact that the Samsung HMX-300 is waterproof and is affordable. 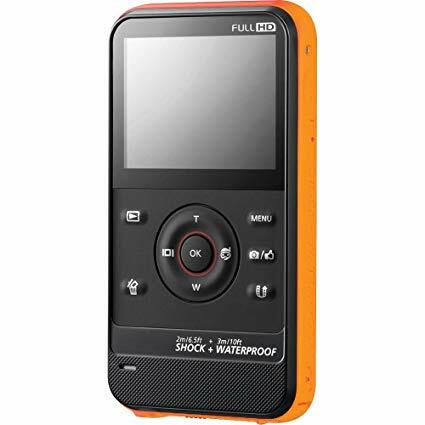 So, if you are looking for a simple to use, inexpensive, waterproof, robust camcorder, the Samsung HMX-300 may be just one of the most useful things you pack for your vacation. The Samsung HMX-W300 has a very lightweight feel for a rugged camcorder. It can take the bumps and dusty conditions for a week in the woods without having to be heavy and bulky. Samsung lets you choose from three colors: red, orange, or black. Its dimensions are roughly the same as an iPhone, which makes it small enough to comfortably fit in your purse, beach bag, or jacket pocket. You’ll find it light enough to hang from a wrist strap. The HMX-W300 looks a lot like the previous Samsung W200, but it was designed to be more "water-friendly." The new plastic membrane type buttons eliminate the gap between the buttons and the camera. This feature keeps water, dirt, and debris out of the unit. It is waterproof, all the way to a depth of up to 16 feet, which is pretty impressive. But note that it can only stay submerged for about an hour before it needs to come out. After using this camera underwater, it is essential to wash it with fresh water and allow it to dry. It is also shock resistant up to six feet so that it can take most of the bumps and knocks of your vacations far better than the average cell phone. 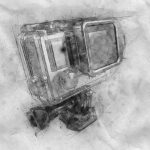 When you first pick it up, it may even feel a bit too lightweight at first, but keep in mind that we are not talking about a $500 professional camcorder. This unit is built to travel light and move fast. It also wasn’t made to look like a $500 camcorder. It has the outward appearance of something more utilitarian than stylish. The Samsung HMX W300 camcorder comes with a 4.3mm, f2.2 lens on the front and a 230k LCD display at the rear. It also comes with several waterproof control buttons to make various adjustments and change the settings. The entire unit is strategically covered with an easy to grip coating to keep it your hand instead of in the water. The zoom control and the underwater mode adjustment are also on the back. The power button, HTML port, and microSD card port are all on the left while the USB connection is at the bottom. The Samsung HMX-W300 comes with a wrist strap and not much else. It does not come with a charger, because you can use any USB charger you currently have. Also, you can use the same USB charger for your cell phone or computer to get the job done. The menus and the navigation of the Samsung HMX-W300 are easy to use and simple to operate. It is not a complicated unit, and operation is quick and easy to master. One button toggles between photo mode and video mode. The main menu is also relatively simple and will get you up and running must faster than most more complicated cameras. As you may expect for the price, there are not a lot of features here to speak of. The HMX-W300 is made to be simple and easy to use. Samsung made a huge impression with their previous model, the HMX-W200. It was also a rugged underwater camcorder, but the new version is still a bit of an improvement. The HMX-W300 can go a bit deeper underwater, it boasts of an improved button design, and it comes with a few more filters and a white balance. Unfortunately, it lacks manual exposure setting or any focus adjustment. It's not set up for fine photography, but for quick and rugged use. That being said, it has very good image sharpness and better than average low light capability for its price. 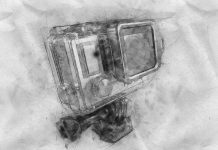 Despite its “quick and easy’ design, the HMX-W300 does have a few tricks up its sleeve including still and video filters. You can add a fisheye mode, a retro setting, a negative setting and a few other settings that you may find interesting. It also features 29.6mm wide-angle lens, 3x optical zoom and installed video editing software. The 3x zoom feature tends to use up your battery, so if you’re out on the water or in the wild, you may want only use it for unique shots. The installed Intelli-Studio for Windows software has a suite of standard features. Best of all, you can run the software from the camcorder, so there’s no need to download yet another program to your computer. One of the better options on the Samsung HMX-W300 is the pause recording feature. Instead of stopping and starting your videos, you can push the pause button for just one clip capturing your fun. While it does have something called an “auto-share” feature, it may not be what you think it is. It will not connect you to a Wi-Fi connection to share your pictures and videos with social media. You must first connect your camcorder to your computer via the USB port. Once this is accomplished you may then connect to your accounts to share your images. What it does do easily is provide tagging for photos and videos during playback on the camera, which saves you some time later when uploading them to your computer. 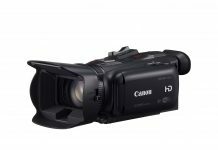 The HMX-W300 is a very good camcorder for the price, but it is not without its difficulties. When it is used in bright sunlight, the display is nearly impossible to see. This makes it not only difficult to adjust, but it’s also impossible to know if the unit is set to video recording or normal picture taking. The video below from the Carson City Library will help you get set up on the Samsung HMX-W300 with ease. Is the Samsung HMX-W300 the Best Camcorder for You? At , the HMX-W300 is a great value. It is easy to operate, durable, and has very good picture quality. It doesn't offer a great deal of fine tuning adjustment or manual controls. Still, you will not find a better underwater camera for shooting still pictures and video at this price. Samsung didn't design the HMX-W300 for photographers looking for a high-end camera for professional photographs and videos. Those of you who like to have lots of controls to fine-tune their pictures and videos might not look favorably on this model, either. It’s a simple camcorder for people who are looking to take decent vacation pictures and videos without having to be afraid to let the kids be the photographer. You can let the children have their fun making movies without worrying about them dropping an expensive and delicate camera in the water or on the beach. The price is right for that kind of peace of mind.